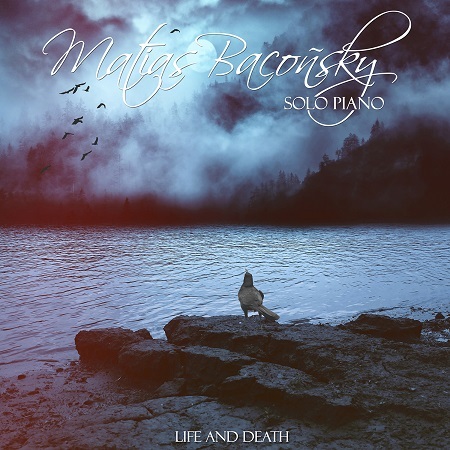 Life and Death is officially the first album from young Argentine pianist/composer Matias Baconsky. As the title suggests, the music on this album is mostly quite dark and emotional, but it is not without hope. Composed in a classical solo piano style, the twelve original pieces are an exploration of some of the various stages of life. 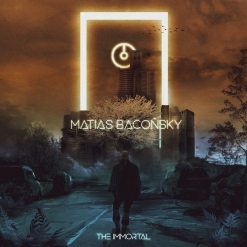 Baconsky released a demo album in 2014 called Lonely Soul, but considers Life and Death to be his debut. He cites Amy Lee of Evanescence and Jennifer Thomas as the main inspirations for his music, which is powerful but not overly complicated. Baconsky started playing the piano when he was 16 years old after hearing Amy Lee play "My Immortal." He learned all of Lee’s songs and later discovered the music of pianist/violinist/composer Jennifer Thomas. Life and Death begins with “The Last Goodbye,” a poignant and heartfelt piece about letting go. Sad and questioning, the graceful melody expresses so much. “Death of a Dream” conveys a range of emotions that include hurt, disappointment, reflection and loss. A repeated rhythmic pattern and accented notes from the deep bass of the piano help to express those feelings. “Contemplation” is more reflective and perhaps a bit nostalgic. Although subdued and dark, “Never Lose Hope” brings in a touch of warmth and optimism - a favorite. “My Nightmare” is one of the darkest and more turbulent of these pieces. The rolling broken chords on the left hand intensify the heartbreaking melody. “Stay With Me” is an impassioned plea - raw, spontaneous, and from deep within. “Painful Memories” is almost conversational - the soul-baring openness shared with only the closest of loved ones. “Without You” laments a painful loss - either by death or a difficult break-up - again with total honesty and sincerity. 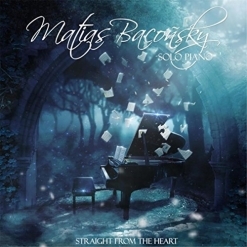 “This Is Not The End” begins with the darkest of emotions expressed in the depths of the bass of the piano. Quite suddenly, the lighter treble appears, but then is taken over by the bass-like dirge. Very gradually, the black clouds of despair start to open, letting in rays of light and hope. To my ears, this is the strongest piece on the album - a very powerful expression of working through a painful transition. 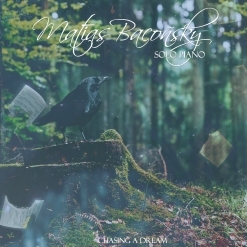 Presently only 21 years old, Matias Baconsky appears to have a very bright musical future ahead of him! Life and Death is available from Amazon, iTunes, and CD Baby. Discover his music for yourself before everyone else does!